Happy Monday Freebs! 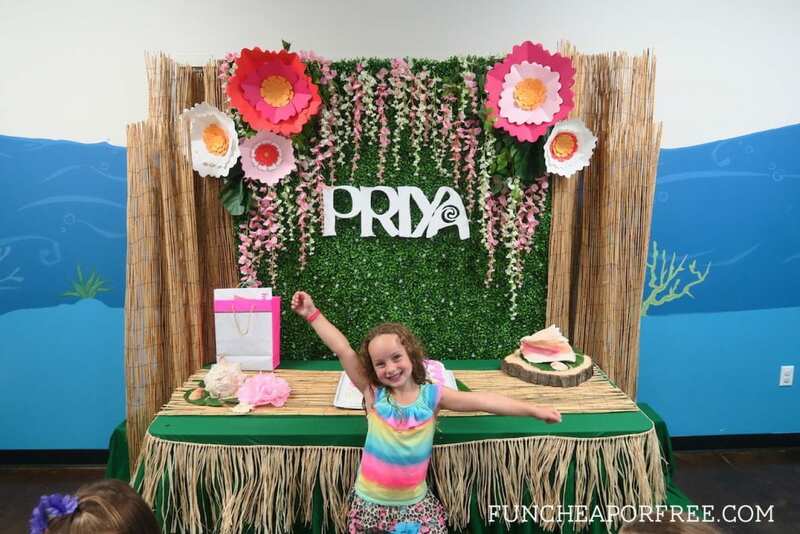 If you saw my video of Mory's first birthday, then you saw that I promised to give you details of Priya's epic Moana party that we threw for her 6th birthday. It was the cutest party EVER, and I couldn't wait to share all the details with you! If you saw on Instagram, we had a late night making it a special morning when Priya woke up on her special day. Then, the day became special for me because…I didn't have to do anything! Usually I'm stressed, sweating, and slaving the day away prepping for the party. 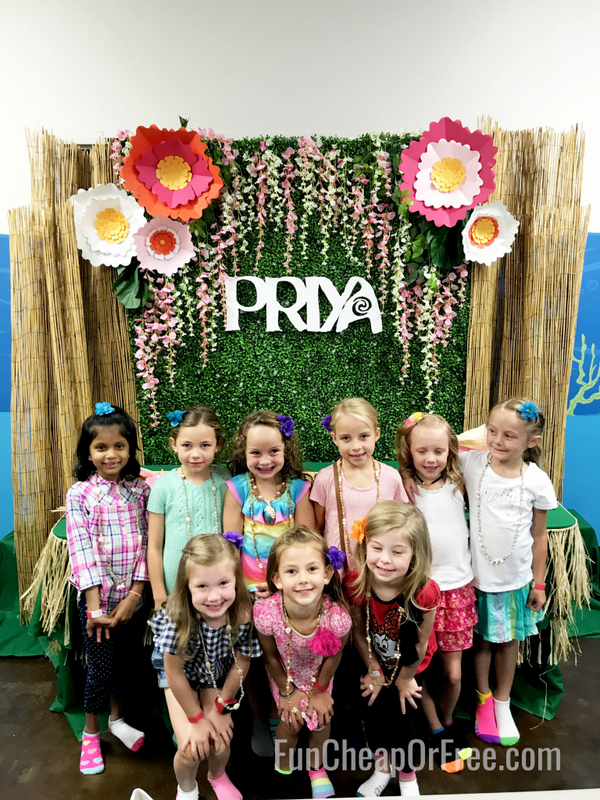 This year, Priya wanted to have a a friend party, and we took the fun-but-stress-free route and we were able to have the cutest Party at the Loveland Living Planet Aquarium! And, as per Priya's request, we made it a Moana party. Of course. Watch the video then keep reading to catch the deets! As mentioned, this was my first time doing a party somewhere other than my house or a cheap cheer gym. I had always been nervous about the cost of doing a party elsewhere. But I have to say, doing it at the aquarium really was worth it! We got 2 pizzas (which was plenty of food), unlimited soda, and every guest got a day pass to the aquarium, so the fun doesn't end when the party ends. But, because I love you, I talked with the Aquarium and they are offering Freebs an exclusive deal! 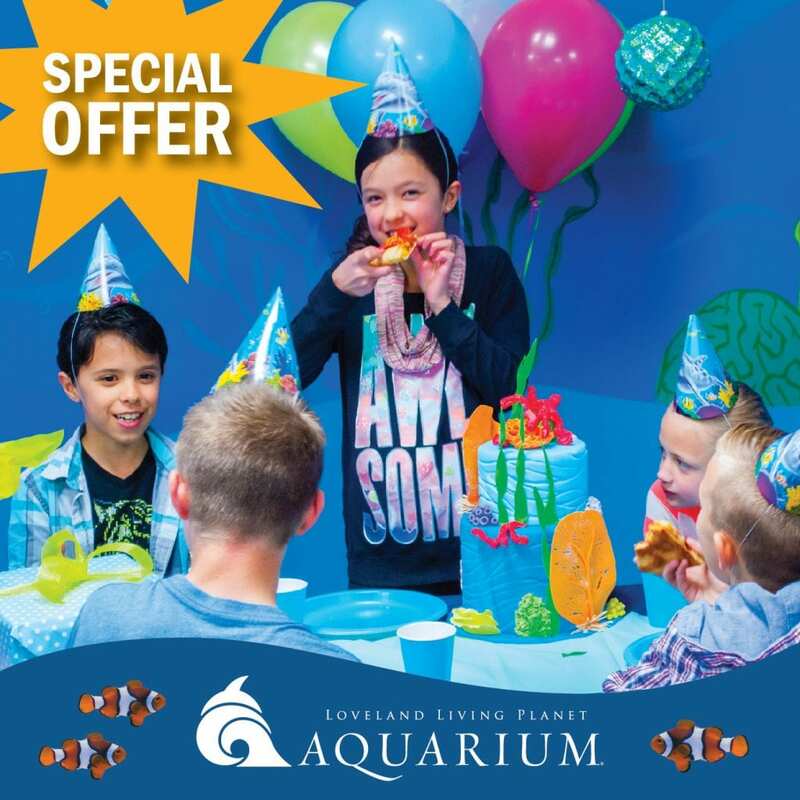 If you are in Utah, and have a birthday to celebrate, mention FunCheapOrFree, and if you book a 20-person party before September 30, you will get 20 child admission tickets to use at a LATER DATE (like a bounce back!) in addition to your party admission tickets! That's a FREE bonus value of $299! Schedule a 20-person party before September 30 and receive 20 “Party Favor Vouchers” in addition to their party admission tickets. 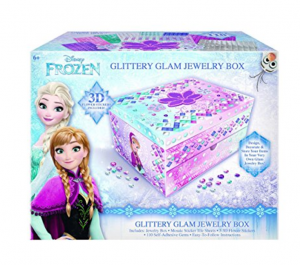 These are only good for child admission (no substitutions), and they are good for three months from the party date. And you can choose how to use them! The aquarium generously gave us a Creature Encounter at our party. 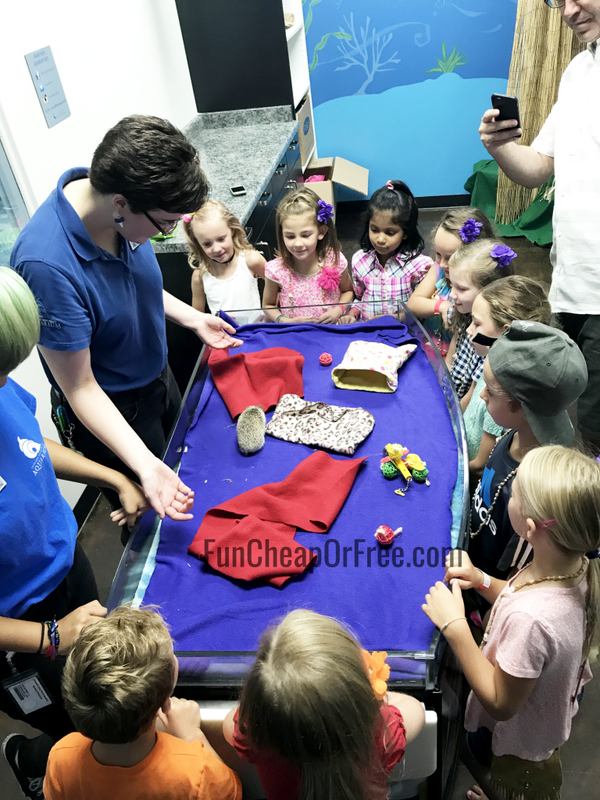 We got to see, touch, and play with two different animals. It really made the party extra amazing! The Moana theme came from my good friend (and O.G. 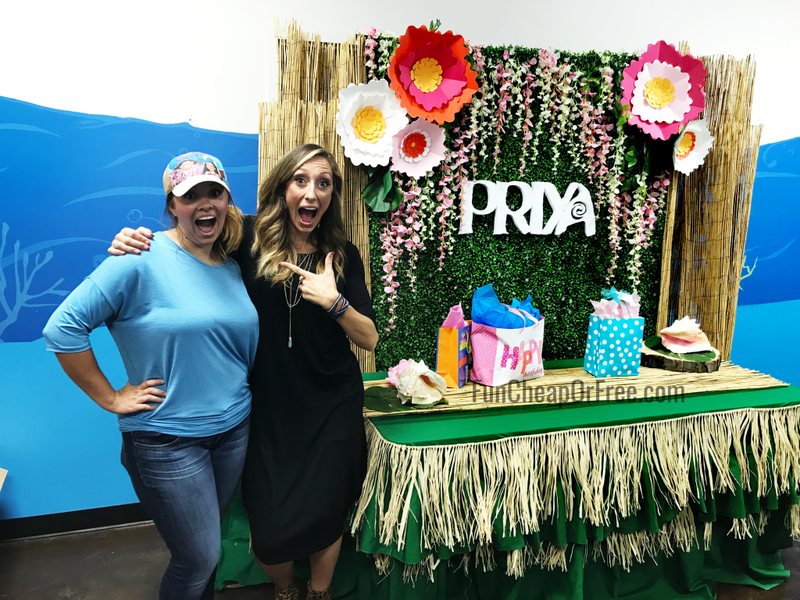 Freeb, Melena) who just started Utah Party Design and Rentals, Are you kidding me with this decor?! 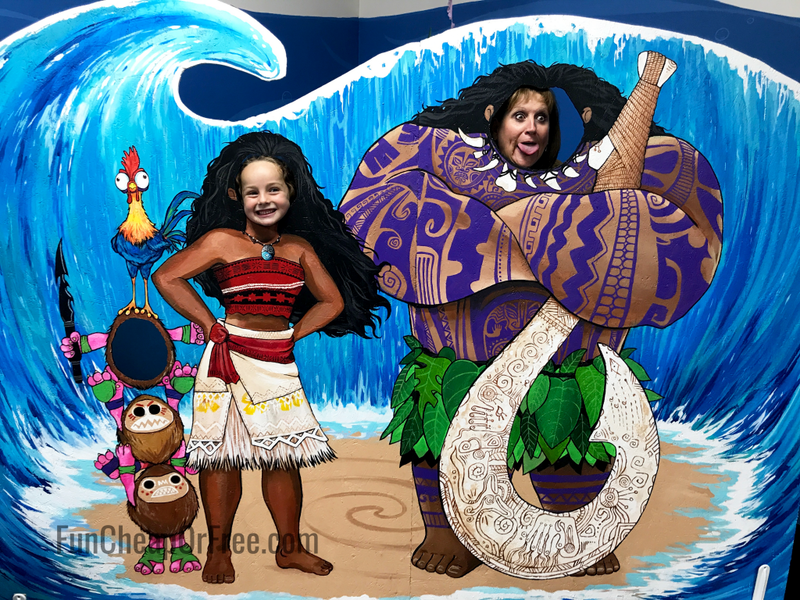 This hand-painted photo booth was the highlight of the day, for sure! I have to say, this was my favorite birthday party ever. Yes, I got spoiled rotten. But mostly, it was so nice to wake up and ENJOY Priya's day without the stress of throwing a party. 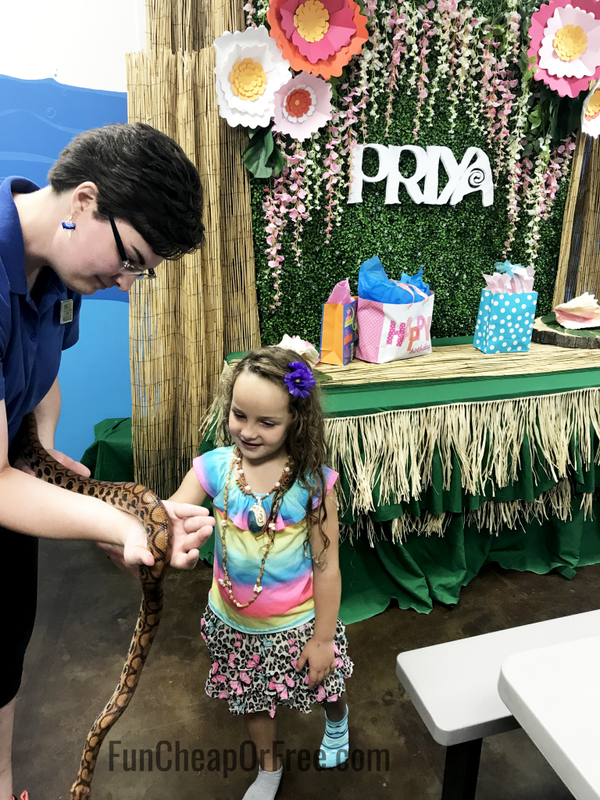 I can't thank Loveland Living Planet Aquarium and Utah Party Design and Rentals for helping make Pryia's day epic!…and for giving this mama a break. Do you have a birthday budget post? Breakdown for party and presents? I cannot locate anything like that.. My daughter loves Moana and Paw Patrol, so I’m not sure how to handle. THANKS!! I love the Moana decorations! How fun! The Living Planet Aquarium is an awesome place to do a party! Priya is the cutest ever! And this was the perfect party at the perfect place. I can see my daughter wanting the same thing when she is older. Moana is life lol. I loved this party! What cute decorations and experience! Thank you for being willing to share so much with all of us Freebs! 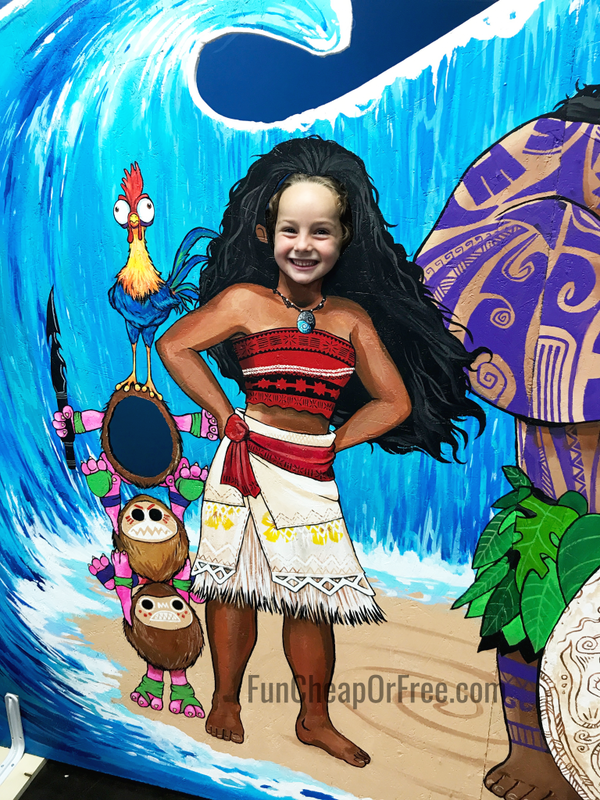 My little one is turning 5 in April and is having s Moana party so thanks for the ideas! I’m entering your contest because you really cheer me up. It’s been an awful day, heading into work a young sqaudmate of mine died in a fatal crash. She was so full of life and always happy and smiling and always made everyone feel important. I will miss her so much. I came home, because we didn’t have to work tonight, and I went on IG and watched your instastories to make me smile. Thank you for putting a smile on my face on such a sad and horrific day! 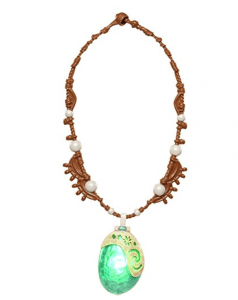 I want Moana to become popular again (or come out with a second movie!) so I can copy this! 😬So adorable and creative! Next time I’m doing this. I just had my daughters birthday party, and it was so expensive 🙁. So fun that you were able to have this party. I bet she felt so special! Such a cute party! I love doing up big (as possible and not be crazy, LOL) for our kiddos birthdays! 100k give away! 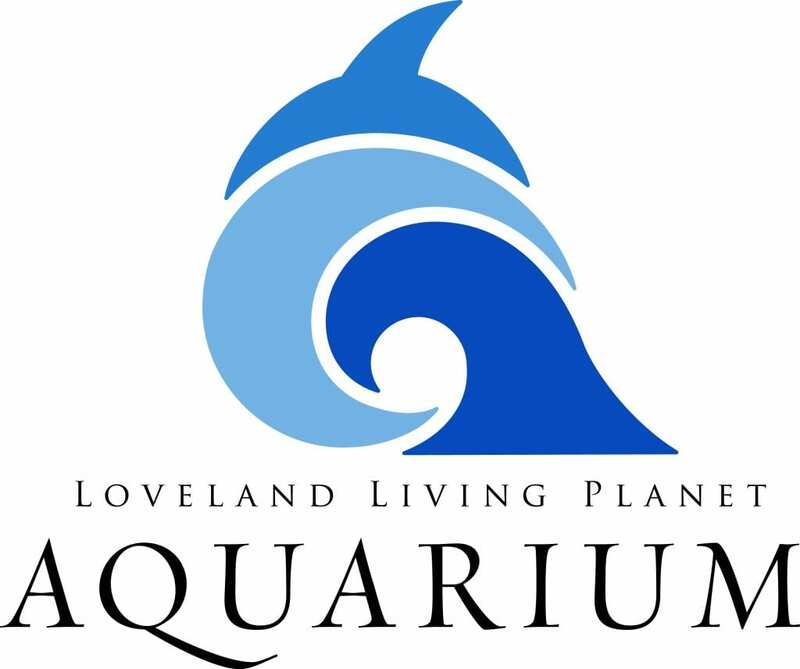 Unfortunately I live in California so I can’t have a birthday for my kids at that aquarium, but I told my brother in law ( who does live in Utah) about this place and he is planning on taking his kids there. Thanks for information on this place. I love doing all inclusive birthday parties. It’s so much less stress. We have a science museum near us that does really cook parties. 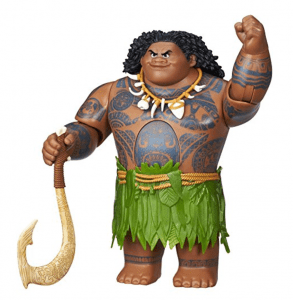 My daughter loves Moana and I read this because I wanted to see the decorations you used and for the set up. It turned out beautifully for Priya’s birthday. This is so cute! It sounds crazy, but my 7 month old loves Moana… I know, she’s 7 months, how?! But every time it’s on, she directs all of her attention to it, and it is literally the ONLY thing she will sit and watch! The whole movie too! Lol. But I have a question! How do you feel about wearing yourself out a little bit more than you probably should and doing most of the bday in your own (food, decorations, etc…) vs. finding a company to foot, even if it is a good deal. Free will always be less than than a discount, but at what non-monetary cost too? I just want to draw a line so that I still enjoy my kids birthdays, however, I know I’m one of those people who will do it all on my own too if I can do it for free!